Very cool gifts have arrived. My secret Santa hit the mark with a kick ... magnetic waterproof container, very funny log book… book, and a perfect coffee cup. 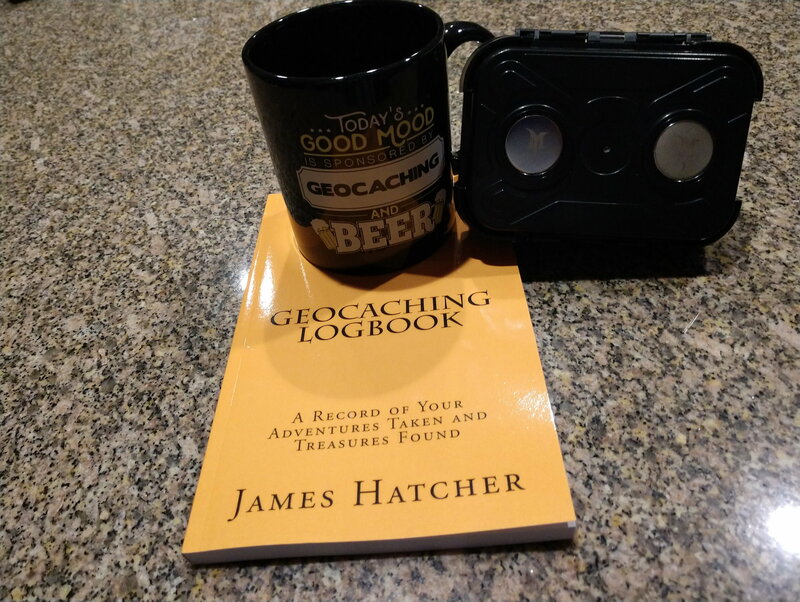 I can’t say it’s my first geocaching coffee cup, but sure is the first to combine my two favorite hobbies… Beer and Geocaching. The magnets on the container are amazing and it’s the perfect size… small. Either my SS knows about Geocaching or did a great job researching what my hobbies are and picking gifts very well. 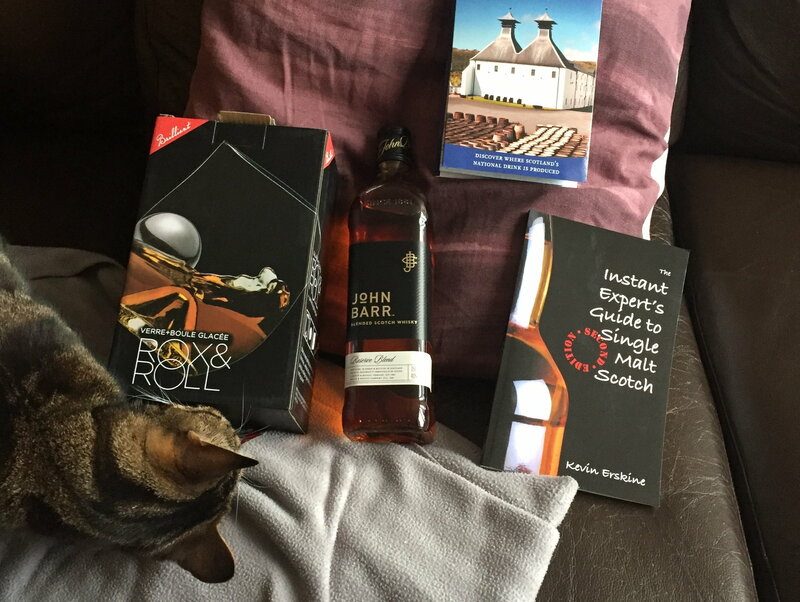 Well done, Santa. Well Done. I will hopefully be able to send mine this week! It's been really hectic (more than originally thought). But I'm about halfway there . My gift came today and I'm super happy with everything. I'm in the midst of travel chaos - a new place each week for me so I've been trying to figure out food the next few days so glad I ended up with ridiculously tasty snacks (including what looks like an incredible blue cheese - I know most people aren't into blue, but lucky me, I am!) Also got a sushi candle which was met with a fun squeak of delight. I'll post some photos when I'm not at the office cramming in the last few days of work. A set of 2 stainless steel pans, an Evoo olive oil dispenser and an oven thermometer. My last secret santa gifts have been shipped and both my Giftees have shown there presents and seem to be happy! Thanks Bergamini for this very unexpected surprise yesterday! 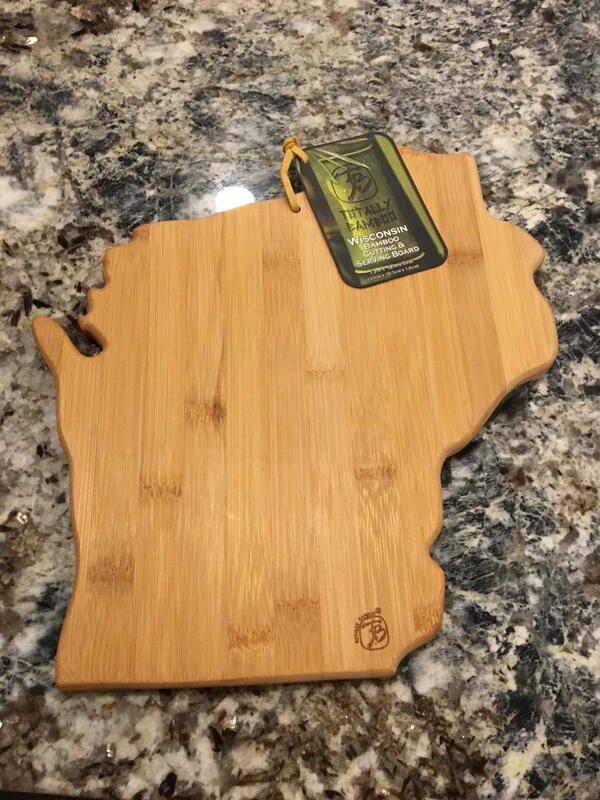 Yeah, some Wisconsin cheese would really look good on this. What an amazing gift! I'm just getting into scotch/whisky/bourbon within the past year or so. For scotch, I like Laphroaig the best. Found a bottle of PX on St. Maarten for $70 the other year. Apparently, that was a steal of a price? Anyway, I find I enjoy that smokey/peaty flavor most. So for instance, while most people prefer JW blue- I like double black because to me it's more peaty. When you open the John Barr, can you come back and let us know what the flavor profile was? You gots to flip that around. The peninsula should be on the right. Shutterbugguy here, thanks to my Secret Santa for Gift #2 , sent via amazon prime shipping from the USA to Hong Kong. Three gift bags inside, which my wife and I will wait to open. 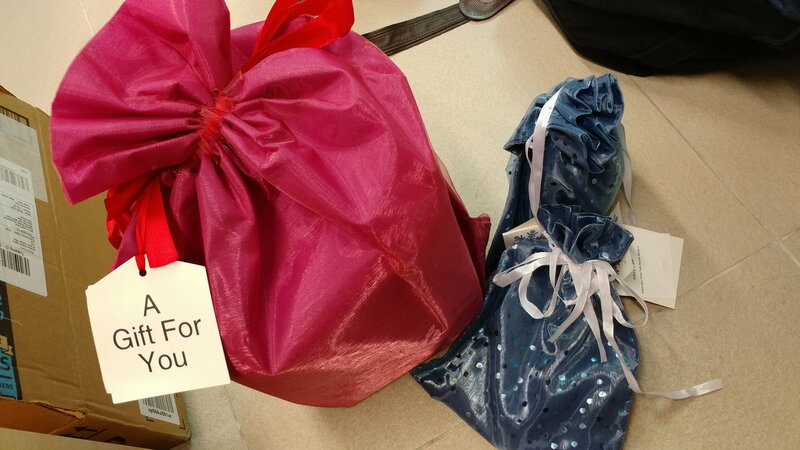 Thank you for the gifts! Not sure who sent this, as the Amazon package didn't have any sender identification other than Flyertalk Secret Santa. Much thanks to the giver! 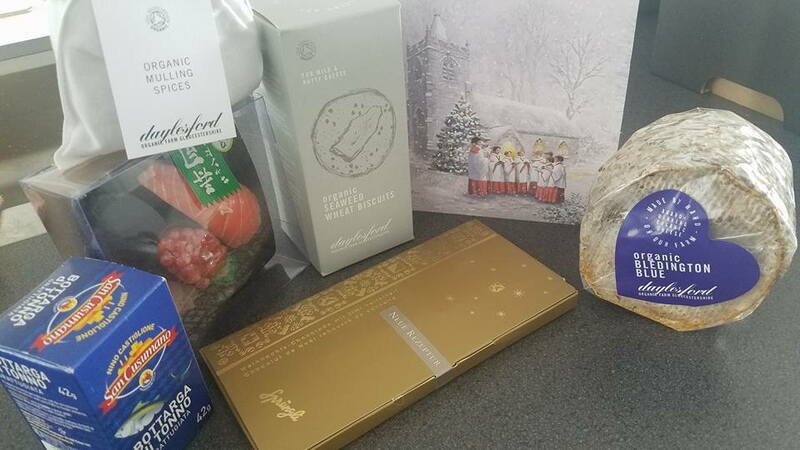 I'm mostly excited about the cheese and the candle and the chocolate and the crackers and the - okay, yeah I like it all! So, I'm super happy! I think most of because it was addressed to me as Dr while I'm still still working on my PhD while living in 3 countries simultaneously. So everything is from all over the place just like me. Can't wait to send mine! Decided to open these tonight, as we will be travelling back to the USA next week. 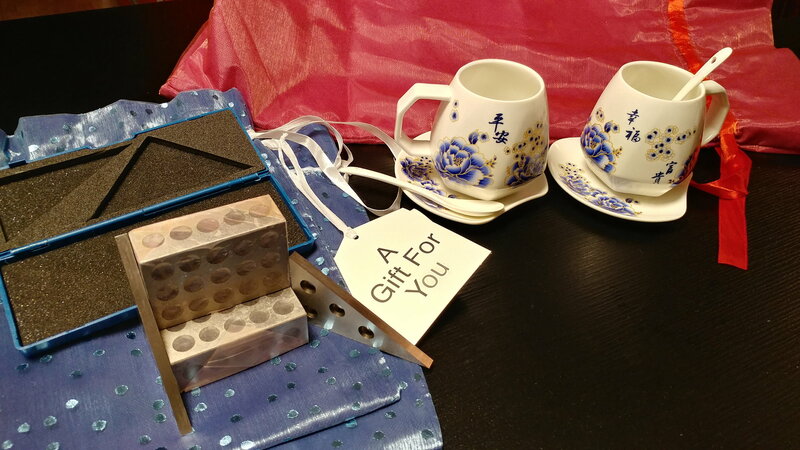 Wonderful gifts! Because I like to build things (I am a teacher in a Middle-High School MakerSpace and Design Teacher), the 1-2-3 Blocks and accessories will be well-used as an excellent tool for me and my students. And my wife, who is an art teacher to nearly 500 students, loves the beautiful ceramic pair of cups and saucers! Thank you so much! Excited, finally got to ship my gifts to my SS. After busy weeks of travel, spent almost whole month of Nov in New Zealand. Love seeing everyone's gift, hope they like it and post pics.